Oh there are a million recipes out there for cloud bread. The first time I started Keto I thought there is no keto without cloud bread in your diet. That turned out to be just a myth but there is certainly no keto in our house without this fluffy and delicious food item. Preheat oven to 300F and line a baking sheet with parchment paper. Add cream of tartar in the egg whites and whisk fast till it turns into meringue form. I used the Kenmore Ovation Stand Mixture and it did a beautiful job! Mix the rest of the ingredients in the yolks till its smooth. Make sure the cream cheese is soft. Fold the egg white mixture gently in the yolk mixture. Make sure not to mix too much or the foam will disappear. We need it to be as much foamy as possible. Gently spoon half a cup portions of the foam on a lined baking sheet spreading them in circles. They don’t have to be perfect. Beauty lies in small imperfections. Bake for 20-22 minutes or till it turns brown and stops jiggling from the center. Let it cool and serve. After it has cooled down you can store it in a Tupperware in the fridge for up to 5 days. I use it with for making burgers, as a side or as a snack! 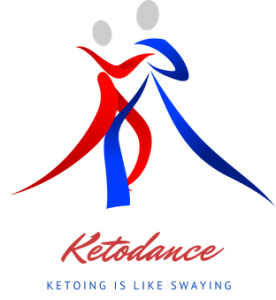 Ketodance.blog is a participant in the Amazon Services LLC Associates Program, an affiliate advertising program designed to provide a means for sites to earn advertising fees by advertising and linking to Amazon.com .